Ever-increasing demand for new products from customers is forcing OEMs to launch innovative products at record speeds. Launching a new product could mean either starting from scratch and designing something revolutionary or putting existing pieces together and creating something evolutionary. Revolutionary products form part of a company’s long term vision while evolutionary products comprise of the immediate road-map. Naturally, it is far easier to bring something out faster in the market by adopting the approach of evolution rather than revolution. The success of design for standardization approach depends heavily on how successful designers are at implementing and using the current available set of parts and reusing them for creating new products by minimizing total number of parts used. This is important for new products to be launched in the market on time, reduction in redesigning cost, eliminating redundant components both at supplier and OEM levels and optimization of overall product life-cycle by bringing in standardization. Effective standardization strategies help organizations reduce time to market and garner profits from shorter product life-cycle. Standardization of components enables to put in place a common platform for product or manufacturing processes thus enabling common system layouts and module integration. To enable such a scale of activity, it is important for PLM to play a vital role in communicating downstream (or upstream) and capture design information and knowledge. PLM or in some cases PDM systems will be required to narrow down standardization to minute level. PLM will not only consist of technical or model based information, but it will also cover other types of attribute related information such as material or process specific that could lead to better choices during design as well as manufacturing stage. Designers working day in day out can get access on demand to such information thus reducing design cycle time and improving productivity. Take an example where a design initiative allowing standardization of parts based on sizes or with respect to materials will help manufacturing engineers use a smaller set of production resources. This is called upstream standardization of parts. Conversely, downstream teams can give excellent feedback on which type of parts are best suited for use of standard jigs and fixtures. All parts with too tight tolerances on large parts lead to use of non-standard tools which the downstream teams need to procure leading to high cost and cycle time. This can act as an excellent guideline for design activity right at design stage. 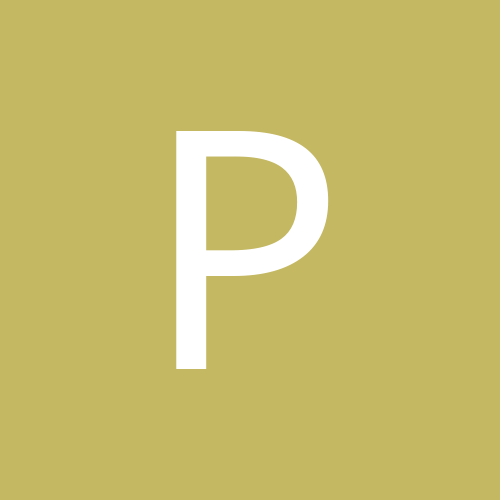 Such scenarios call for a common location where such information can be easily stored and referred to by everyone involved in the product life-cycle. Different groups at the upstream as well as downstream stages must find it convenient to define, communicate and use rules, guidelines or standards for parts to be used in the product development. This translates to defining a common framework or location which contains such information and gives stakeholders the confidence that all data in such secure location will be up to date and relevant for regular usage. Geometrics’ DFX solution caters to this exact need where parts standardization and reduction can be possible with an extensible framework in place. 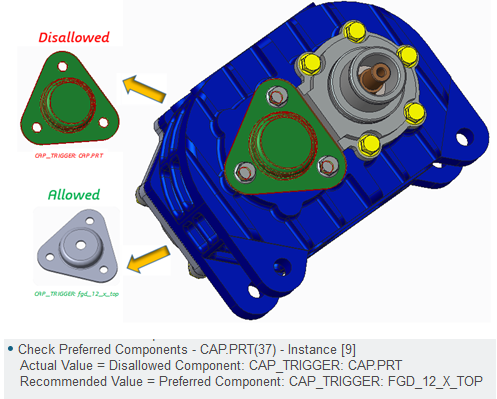 DFX provides a possibility to pick up information from custom PLM implementations (or via spreadsheet links) to define standard parts list and categorize them as preferred, allowed or disallowed. Such flexibility provides options to the downstream and upstream teams to precisely communicate what needs to be used and avoided during designing from the plethora of parts in part database. Example of Database consisting of thousands of Parts. To achieve this, designers need the knowledge of which parts are allowed to be used for future use and which parts are classified as redundant. This will help effective and clear collaboration between designers and manufacturing engineers. Geometrics’ DFX solution allows for clear distinction of what’s allowed and disallowed in terms of reuse or up-gradation of parts. It’s “Check Preferred Components” functionality also provides an opportunity right at the design stage to assist in correct selection of parts during designing. Part handling cost, inventory cost, purchasing and packaging cost. Possibility of defects per part is reduced and cost of Non-Value Added (NVA) activities decreases.